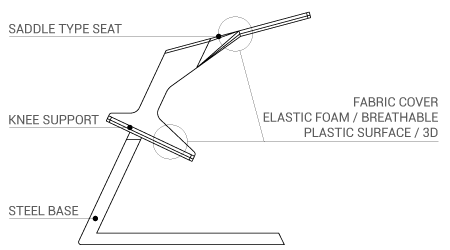 At the moment we had to stop WCHAIR development and production, but we still believe in the idea and looking for a strategic partner or investment. New three point support system with unique geometry that keeps your back straight while you are working. It will improve your concentration and productivity. "The idea came into my mind during the long hours of sitting at a meditation retreat. I kept adjusting the cushions to reduce pain in the back and knees. 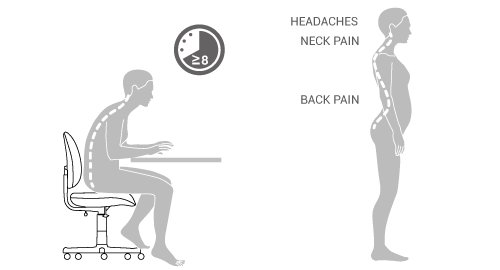 I thought, why not to try and use the same principle for healthy sitting and mental activity in the office or at home?" seat with two knee supports. 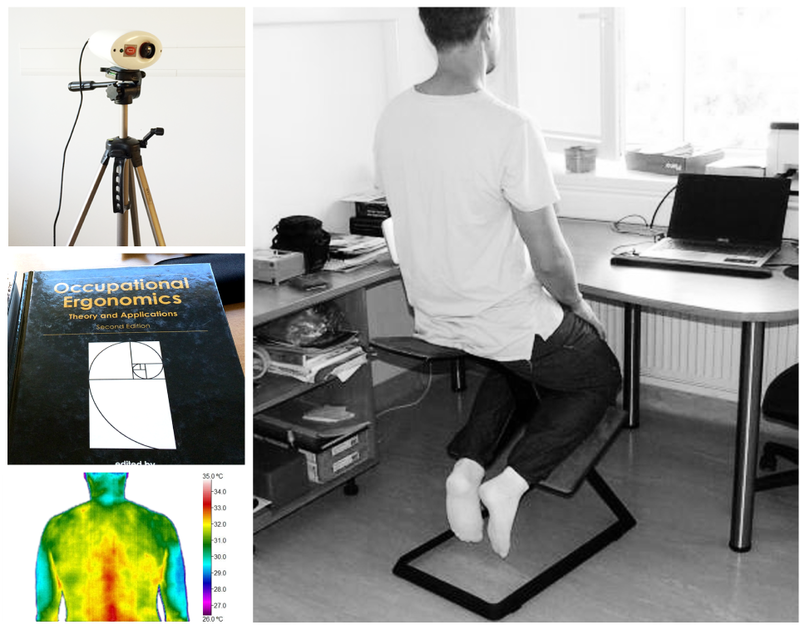 "After a year of research, design and testing together with best ergonomy experts, we have come up with a conclusion that ergonomic sitting in combination with standing desk is the best for reducing sitting hours”. Recent studies have found that sitting for a lengthy period of time is not only bad for us but is damaging to our body in the long run. Long fixated positions will guarantee aches and pains, but they can also cause bigger problems that can lead to premature terminal illnesses. 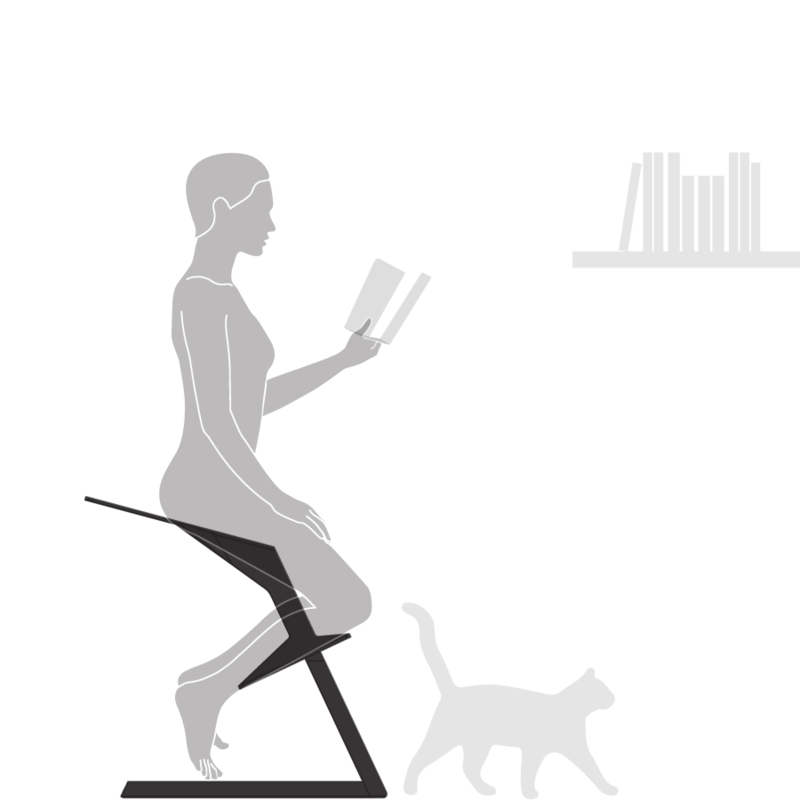 With our chair we want to change the common habit of sitting into something that is actually beneficial to the body. 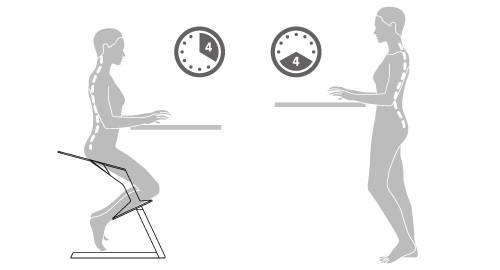 Since sitting for long hours is bad for ones health, we recommend using the chair at the office in combination with a standing desk. It can be also used for reading or meditation. To suit all possible body dimensions Wchair will be produced in small, medium and large sizes. Our answer is simple — if you spend long hours sitting, this chair might be a solution for you.